What's a day without more Love & hip hop drama? 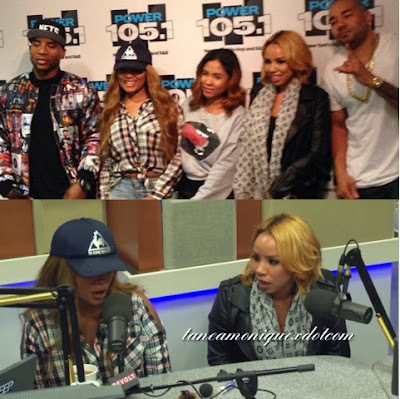 This morning Morgan Hardman and Teairra Mari (yes, they're back friends) hit up The Breakfastclub to discuss this seasons drama. The ladies reveal RayJ was kicked out the Floyd Mayweathers Money Team for stealing the owners girlfriend and that he physically assaulted Morgan in front of her son! "Tell the truth, or I'll have my son tell his side of the story!" she said through tears. Teairra Mari admits to still being in love with RayJ, fighting his girlfriend Princess Love at the reunion and what caused her once promising career to flop under Roc--Fella and JayZ.